Shin Lim’s name loosely translated means “seeking excellence,“ and this, though he is still in his early 20’s, seems to be his dictum. At the early age of 6, Shin Lim saw his first magic show but was not overly impressed by it at the time. When he was 16, his brother showed him a card trick called the ‘Slip-Force,’ which really impressed him. He was urged by his brother to study how it was done on YouTube. This Shin Lim did, and it was this that sparked his passion for magic. Studying music at the time, Shin Lim underwent therapy for his hands which were strained from constant piano playing. His doctor suggested that doing magic with his hands would be both therapeutic and less strenuous. The ease with which he manipulates playing cards so poetically and effortlessly is beautiful to behold. Today Shin Lim has become the number one sleight of hand card performer in the world. He follows the tradition of the silent performer to music. 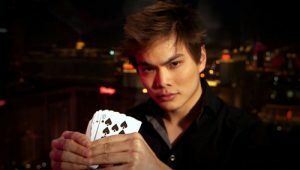 Shin Lim makes no claim of being a wizard or magician, but he is a self-taught, self-styled sleight-of-hand artist. He performs carefully choreographed routines, rather than pretending to defy the laws of physics. Shin Lim utilises finesse, timing, theatrics and natural skill to create wonderment rather than elicit that hackneyed question “How did he do that?“ He not only mystifies and enchants his live audiences; he also enables more people to appreciate his fine performances by using YouTube and video recordings. These performances create bewilderment and delight. While YouTube has hundreds of poorly devised magic tricks for the unwary, there are some wonderful tutorials available which Shin Lim made utmost use of to his advantage. Not only is Shin Lim a superb performer; he has also invented some wonderful magic tricks and innovative magical creations. 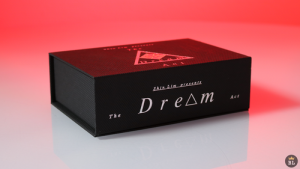 The routine that earned him the recognition of being the world’s number one sleight-of-hand card magician at FISM in Rimini, Italy in 2015 was his ‘Dream Act.’ The act utilised smoke appearing from his fingers, and this is now available for direct buying. Some of Shin Lim’s other popular card effects are Shenanigans and Triage, as well as 52 Shades of Red and his Gone Deck. He produces beautiful quality playing card decks, and his Vanishing is a utility device for making a coin or ring disappear. Each of his routines comes complete with clear, fully comprehensive instructions. The magic of Shin Lim is not for the faint-hearted magician but rather for those who aspire to become better magicians and who want to lift their magic to a new level. Ever since his rise to fame and acknowledgement at FISM, Shin Lim has achieved a large number of credits to his name. His FISM prize as world champion earned him a headliner slot at the famous Rio Casino Hotel in Las Vegas and numerous engagements in the United States at conventions and seminars. Shin Lim also made a tremendous impact on watching audiences around the world when he appeared on Penn & Teller’s Fool Us television show, where he presented his double-signed card with two volunteers transition and exchange that became sheer poetry in his hands. His performance brought the audience to an absolute, hushed intensity of concentration while they tried to absorb the mystery of what they were seeing. Shortly after the Paris, France terrorist attacks on November 13th 2015 that killed 130 people, including 89 at the Baclan Theatre, which left the world devastated and in mourning, Shin Lim, feeling the pain of this outrageous act, felt compelled to create a new wonderful playing card routine like the world has never seen. It was to be his tribute to the people of France during their sorrow and mourning. His performance was viewed by more than 1.17 million people on television and garnered more than 7,000 likes on Facebook. 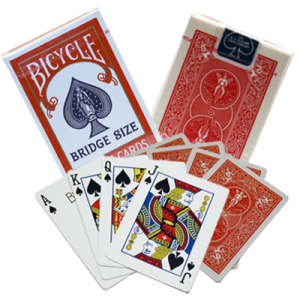 The effect began with the introduction of a blue deck and the remarkable production of the four aces. After producing court cards from each ace (except the ace of spades), Shin Lim made the court cards vanish. They melted away as did the three remaining aces, only to be reproduced from the ace of spades. The routine performed silently to music was sheer theatre magic and artistry never before seen. At this stage, I become unable to describe the routine as one piece blended into the next, with wonderful vanishes, appearances, and colour changes. The deck became blank then the words “Pray for Paris” appeared. Then four cards appeared, with one featuring the Eiffel tower and the three the French tricolour flag, only to fade away in a wisp of smoke, reverting to the original deck which then changed colour. Finally the deck was placed back into the card case only to completely disappear. I think that day I witnessed what I believe to be the ultimate playing card conjuring routine of all time. I believe that Shin Lim is an active part of magic history-in-the-making and as such will deservedly become a very real part of our heritage. I am confident that Shim Lim will go onto greater things in magic, and we are fortunate to be living in these exciting magical times. Shin Lim now resides in Boston, Massachusetts and is in much demand at the higher end of the entertainment industry. We will be sure to hear more about—and be amazed more by—this excellent performer. Hi David as always you find interesting things for us to read, the Shin Lim story although I had read all this before your writing of him so well thorough and I must complement you on this article. As you are aware he will be at the New Zealand convention next year and as I have booked I am looking forward to seeing him live, Kind regards, AL.